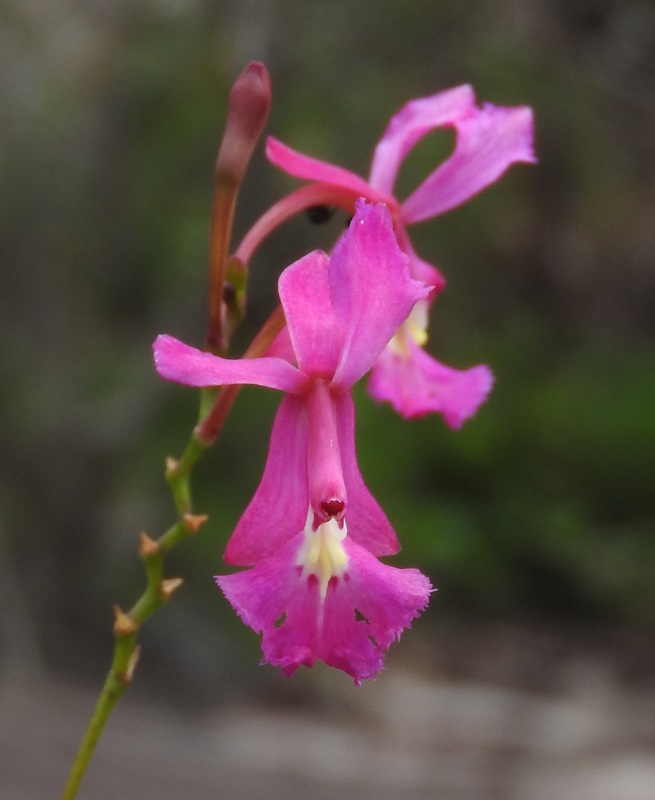 Discussion in 'Orchid Identification Section' started by David Gibbs, Apr 12, 2019. Anyone fancy offering an opinion on this Epidendron? I know thy are a horribly difficult genus but the very tufted grass-like leaves might make it more unusual? 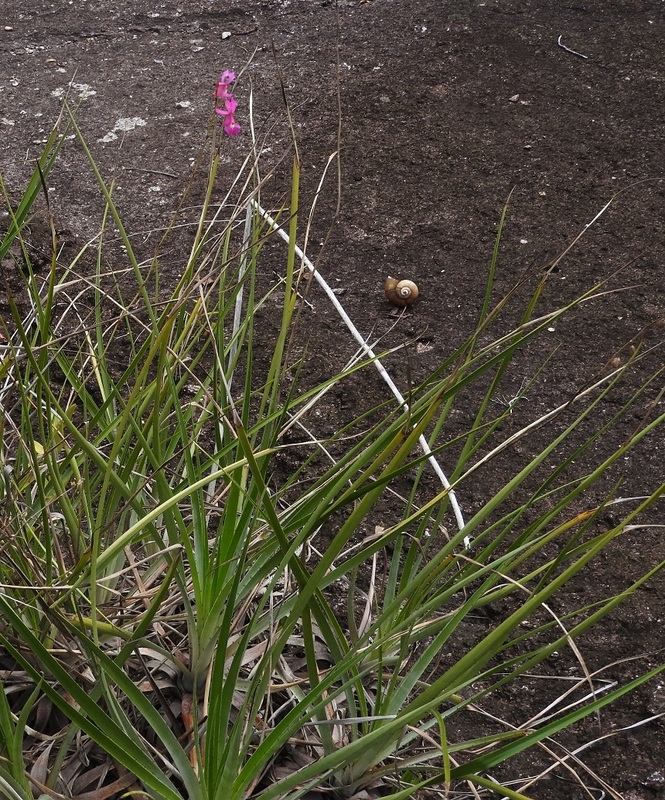 Also the habitat on a hot, exposed granite rock in a clearing in lowland rainforest might help. Would you have any photos that show the plant habit and leaves of this Epidendrum? 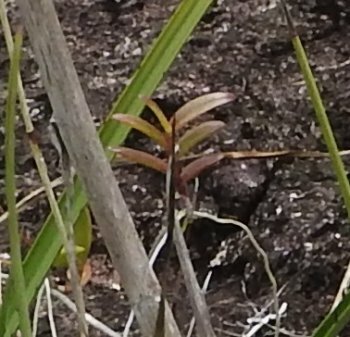 The rosettes of long grass-like leaves in the foreground look to me more like some other lithophyte, perhaps Bromeliaceae or Asparagaceae? You are of course quite right, I didn't look hard enough, these seem to be the leaves of the orchid. The closest that I can come to is Epidendrum odontopetalum or Epi. calanthum but it does not seem to me to agree completely with either. Epi. odontopetalum and Epi. calanthum belong to the Secundum group, Calanthum subgroup. Epi. odontopetalum seems to be only known from Bolivia. The column of Epi. 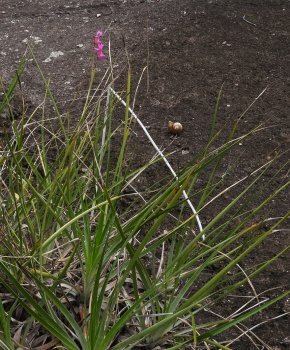 odontopetalum is described as straight with the clinandrium hood somewhat upturned as showing in your image showing the side profile of the flower. Epi. odontopetalum has narrowly elliptic-oblong petals with a erose-dentate margin above the middle. The petals of your plant are much more dilated at the apex, yet they do have the erose-dentate margin. Perhaps your plant is an undescribed subspecies or variety of Epi. odontopetalum? Hágsater, E. & L. Sánchez Saldaña (Eds.) (2008) Icones Orchidacearum - Fasc. 11: The Genus Epidendrum Part 7: - Species New and Old in Epidendrum. Asociación Mexicana de Orquideologia, Mexico. Thank you very much for such a full reply. 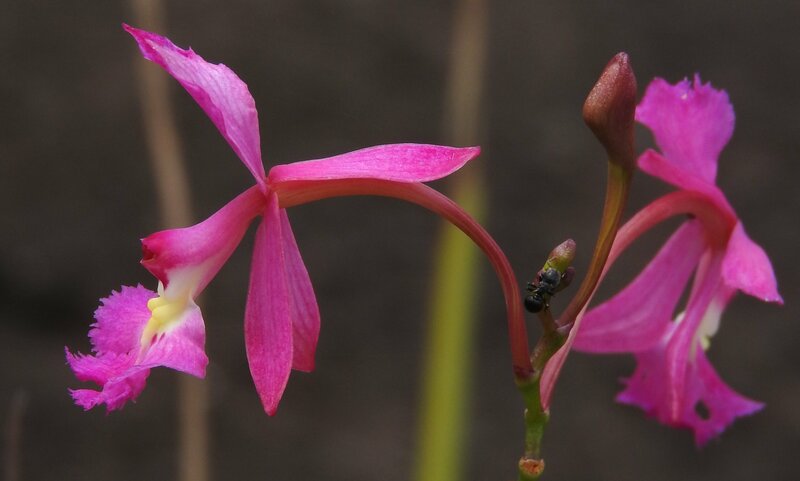 Of the two options you discovered, it seems clear that Epidendrum calanthum is the most probable, being already known in Colombia and with altitudinal range closer to mine - Epidendrum odontopetalum 480 to 2600 m, Epidendrum calanthum 220 to 2200m, so neither supposed to be as low as mine at 100m asl! Photos of Epidendrum calanthum show a range of forms, all close to mine but none identical. It is described as few-flowered, which certainly fits mine example. I think safest to call it Epidendrum cf. calanthum for the moment.